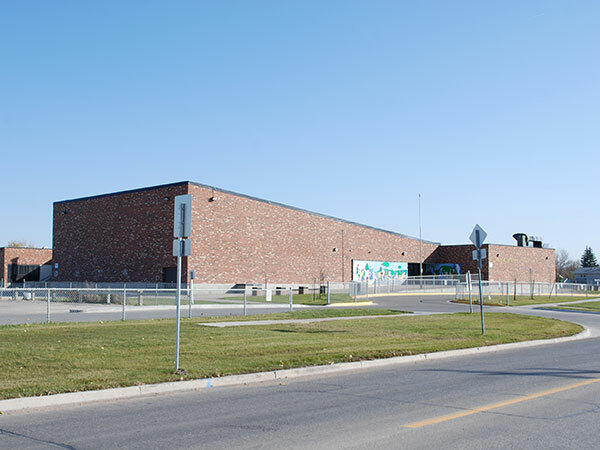 Located in the Transcona-Springfield School Division, this school (and later, an adjoining park) was named for Harold Coveney Hatcher. Built on a former landfill site, it opened to students in the spring of 1975 with an official opening ceremony held on 3 October 1975. “Transcona community,” Winnipeg Free Press, 19 January 1974, page 35. “Deadly methane gas affects only St. B.: Gee,” Winnipeg Free Press, 7 March 1975, page 8. “Transcona school reported free of methane,” Winnipeg Free Press, 8 March 1975, page 3. “School to open,” Winnipeg Free Press, 27 September 1975, page 29. “One man’s fight for rights,” Winnipeg Free Press, 26 September 1984, page 37. “Living in a climate of violence,” Winnipeg Free Press Weekly Northeast Edition, 21 January 1992, page 3.